Located on the eastern side of the village along the Route 419 Scenic Byway, the Brendle Museum is across the street from HSI’s Gemberling-Rex House Museum. 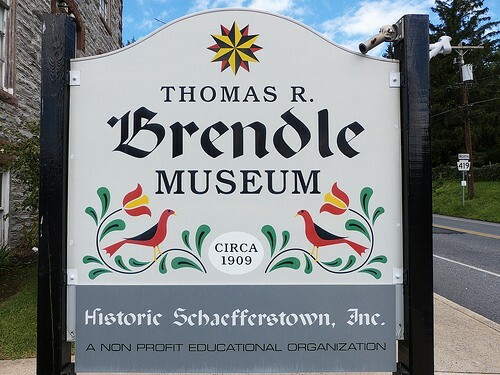 Part of Historic Schaefferstown (HSI), the Brendle Museum is named for Thomas R. Brendle who was a local resident and leader in the preservation of Pennsylvania German folklore at the time. The museum displays a wide variety of cultural artifacts. The lower level hosts events including lectures, classes, and individual and group artisan shows.